Here in Sioux Falls, South Dakota and in Iowa, Nebraska, Minnesota, Wisconsin, North Dakota and the Midwest, our Winter just kept… Going and Going. 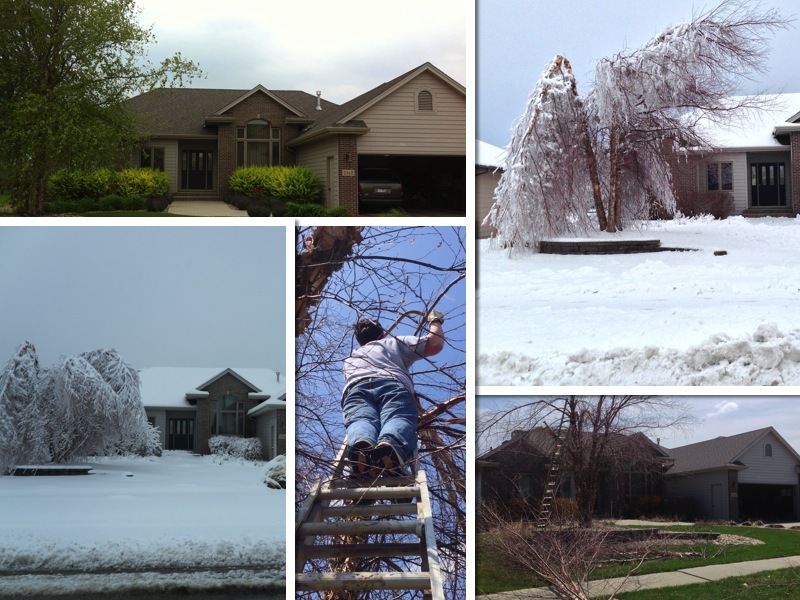 A brutal April Ice Storm that hung on for days, ruined many beautiful trees in our city. Everyone is still cleaning up and discovering their Grand Trees, which took years to mature, are not as Majestic as they were before. Two of ours got toppled, hopefully they will recover. Pictured here, David is cutting a tree for us. Spring is also the time for New Home Construction and Remodeling Projects. New Colors, Freshly Painted Walls and New Decorative Finishes! Are you in the early stages of your New Construction or Home Remodeling project? Would you like to share some ideas for Color, Texture and Effect in you home? We would love to meet with you, see your project and present some new samples of various Decorative Finishes, Faux Finishes, Faux Painting, Italian Venetian Plaster, Venetian Plaster and the popular Italian Finishes. 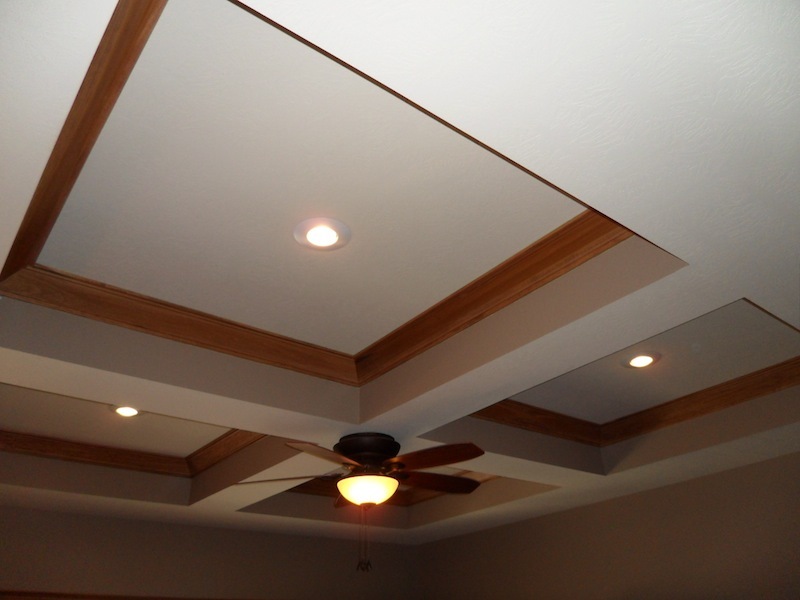 I have attached a picture of a Fun Coffered Ceiling. A Crows Foots texture was on the ceiling before. 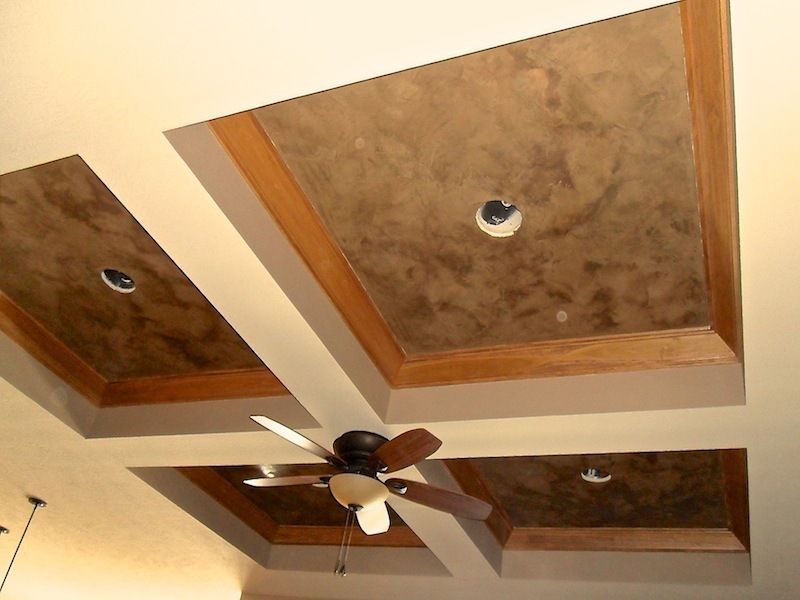 This is an earlier picture of Italian Venetian Plaster on a Coffered Ceiling, edges are not detailed yet and final Gold Mica Powder Effect has not been applied. But I wanted to share just an idea, of how you can Create some Drama, for a Minimal Investment. The footage is small here and our Decorative Finishes are based on the Square Footage. Since the footage pictured here is minimal, your investment is affordable for almost any budget. Home Owners Note – we never Forget, that Your Home is Unique and Special. We are always working on New Colors and Samples to introduce on projects. Since 2005, David and I have been fortunate to be invited and trusted with the final layer of effect in many homes. Each one is special and the memories, relationships we have formed, while working these projects, are reflected in the Testimonials we have received. It is alway an honor to be invited to share our Art! (1) Are you Building a New Home or Remodeling an existing Home? (2) Are you working with an Interior Designer or do need help with colors? (3) Have you identified in your home Where your Unique Opportunities are, to create drama? This is not easy to do. There are some areas, you never would have thought of. Click our Gallery and Before/After photos for Wow ideas. (4) Is your Contractor or Builder presenting you with samples of Color, Texture and Effect that will “Wow Your Home” and separate it from every other homes? If not…. then YOU will need to be the one to break out of your comfort zone, explore new ideas. Pick up you phone and make the Call to bring more Interior Design resources to your very important project. Sometimes… New Construction can begin to look like every other new home. It is important that you bring Fresh Ideas and Fresh Eyes to look at your dream home. If you would like to learn more about Bella Faux Finishes, you can click our FAQ to view common questions. But please Call Early in your project. We would love to meet with you and share some ideas. Our schedule is filling up fast again this year. You can also reach us on our “Request a Quote” link. Is your project beyond Sioux Falls, South Dakota? We do travel far for Unique Projects. David and I love what we do, it is always fun coming to a new project! 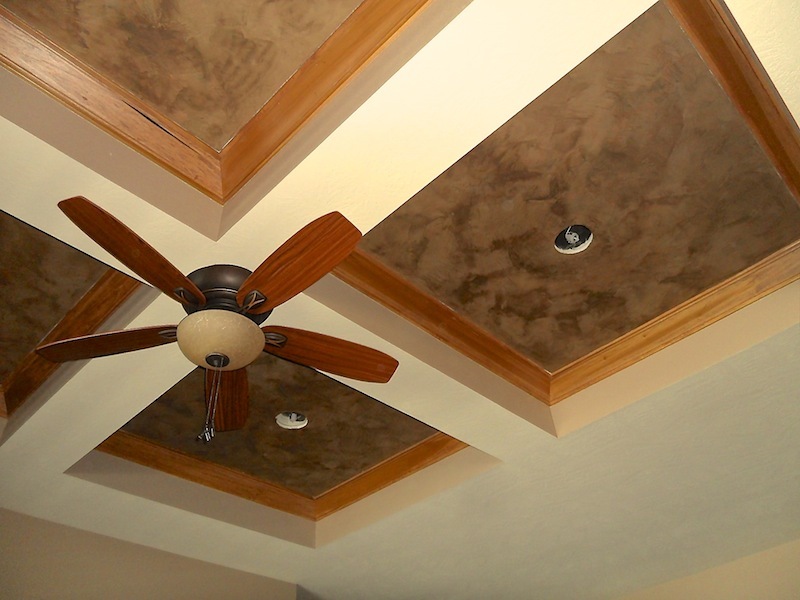 At Bella Faux Finishes, we offer some of the Best Pricing in the States, for Italian Venetian Plaster, Faux Finishes, Faux Painting and Italian Finishes. They are the most challenging and difficult to master Decorative Finishes. Our Goal is to create the Perfect Decorative Finish that will create Drama… for Many Many Years. Here are two articles on Home Building and Interior Design, that I wrote a few years ago, that may help you with this process and give you some ideas. They have been published and posted around the world. Click to Read or View… “The 7 Home Building Mistakes” and “The 7 Interior Design Mistakes”.